In Georg Wissowa's terminology, the di indigetes or indigites were Roman deities not adopted from other religions, as distinguished from the di novensides. Wissowa thus regarded the indigetes as "indigenous" gods, and the novensides as "newcomer gods". Ancient usage, however, does not treat the two terms as a dichotomy, nor maintain this clear-cut distinction. Wissowa's interpretation is no longer widely accepted and the meaning remains uncertain. 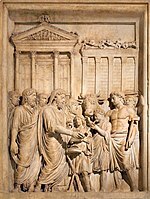 In ancient Roman religion, Dius Fidius was a god of oaths associated with Jupiter. His name was thought to be related to Fides. 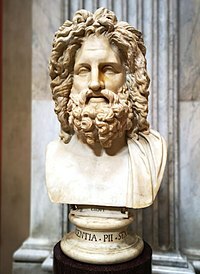 Summanus was the god of nocturnal thunder in ancient Roman religion, as counterposed to Jupiter, the god of diurnal (daylight) thunder. His precise nature was unclear even to Ovid. 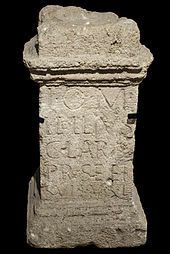 In ancient Roman religion, the Salii were the "leaping priests" of Mars supposed to have been introduced by King Numa Pompilius. They were twelve patrician youths, dressed as archaic warriors: an embroidered tunic, a breastplate, a short red cloak (paludamentum), a sword, and a spiked headdress called an apex. They were charged with the twelve bronze shields called ancilia, which, like the Mycenaean shield, resembled a figure eight. One of the shields was said to have fallen from heaven in the reign of King Numa and eleven copies were made to protect the identity of the sacred shield on the advice of the nymph Egeria, consort of Numa, who prophesied that wherever that shield was preserved, the people would be the dominant people of the earth. 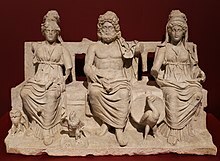 In ancient Roman religion, Feronia was a goddess associated with wildlife, fertility, health, and abundance. As the goddess who granted freedom to slaves or civil rights to the most humble part of society, she was especially honored among plebeians and freedmen. 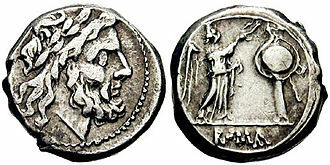 Her festival, the Feroniae, was November 13 during the Ludi Plebeii, in conjunction with Fortuna Primigenia; both were goddesses of Praeneste. Note that the similar-sounding Feralia on February 21 is a festival of Jupiter Feretrius, not Feronia. 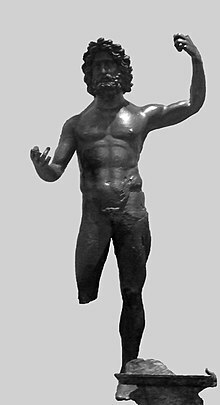 Vulcan is the god of fire including the fire of volcanoes, deserts, metalworking, and the forge in ancient Roman religion and myth. Vulcan is often depicted with a blacksmith's hammer. The Vulcanalia was the annual festival held August 23 in his honor. 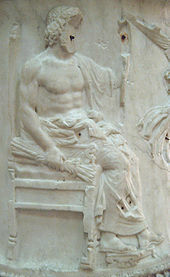 His Greek counterpart is Hephaestus, the god of fire and smithery. 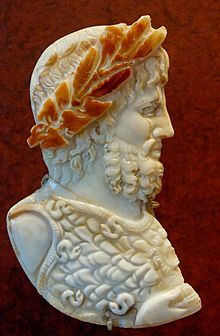 In Etruscan religion, he is identified with Sethlans. 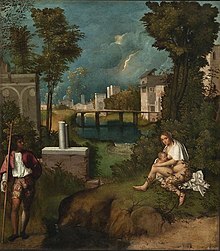 Saturn is a god in ancient Roman religion, and a character in myth as a god of generation, dissolution, plenty, wealth, agriculture, periodic renewal and liberation. In later developments, he also came to be a god of time. His reign was depicted as a Golden Age of plenty and peace. The Temple of Saturn in the Roman Forum housed the state treasury. 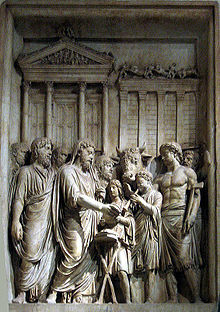 In December, he was celebrated at what is perhaps the most famous of the Roman festivals, the Saturnalia, a time of feasting, role reversals, free speech, gift-giving and revelry. Saturn the planet and Saturday are both named after the god. 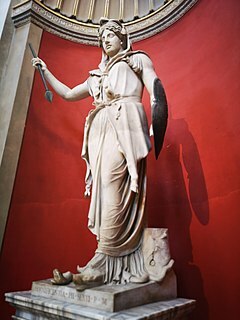 Salus was a Roman goddess. She was the goddess of safety and well-being of both the individual and the state. She is sometimes equated with the Greek goddess Hygieia, though her functions differ considerably.